Fans of Brene Brown and Gretchen Rubin’s THE HAPPINESS PROJECT will love this uplifting and powerful personal story. 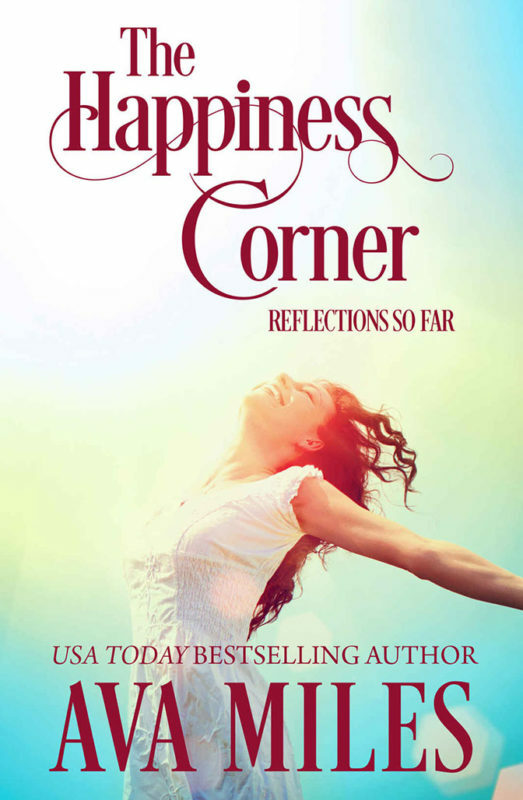 International Bestselling Author Ava Miles shares her first nonfiction memoir about her secrets to happiness and her journey of living her soul purpose and becoming a “happy” bestselling author. In 2013, Ava left a successful, six-figure career working as a conflict expert rebuilding war zones to launch herself as a writer. What most people don’t know is that choice was born on a transformational night of self-discovery in war-torn Sierra Leone when Ava realized writing made her happy—something she hadn’t felt in a long time. Living on the street of Just Okay wasn’t good enough. She made a right turn at what she calls The Happiness Corner and never looked back. In these reflections, Ava shares how she dared to say no to negative people and patterns in her life that drained her natural positive energy, remained positive with a best friend with cancer, discovered pursuits that increased her happiness like dancing and play dates with the neighborhood boy, and, most of all, how she chose to stay happy and spread her happiness message as a bestselling author.